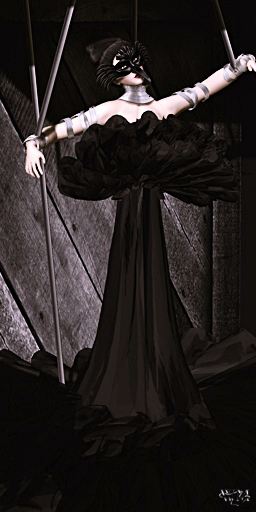 This entry was posted in Fashion, New Releases and tagged 3D, 3D people, Art, avant, Avant Garde, Blog, Blogger, Clothing, Couture, Fashion, Fashion in Pixels, Female Clothing, female wear, Finesmith, Formal, formal attire, Hair, High Fashion, Illusion, Jewelry collar, male clothing, meta virtual, MIRONE, Model, Modeling, Narcotix, Nardcotix, New, New Release, New Releases, News, photographer, Pose, puppet, puppet hangar, puppet hanger, Razoregalia, rollyn, Rollyn Humphrey, Second Life, Secondlife, SL, SL Clothing, SL Fashion, SL Style, Style, Vanguard, Vanguiard, Virtual World, Wicca Merlin, woman. Bookmark the permalink. ← Great ‘Hippi Crazy’ mesh news from Yasum!